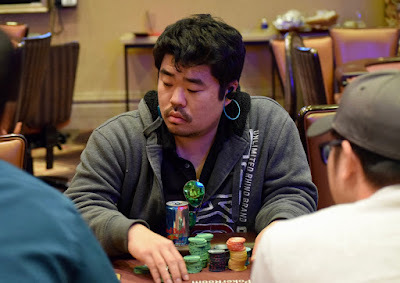 Here are the players cashing in 37-45th place in the January 2018 #TVWSOPCircuit $1,675 Main Event, including Travis Fujisaka (above) in 39th place. Steps up the pay ladder now going groups of three all the way to when the 9-handed final table begins. There's a 60-minute dinner break at the end of this level.